This past week I had the privilege and honor to lead a Dream Team of Professional Firefighters at FDIC International, 2015. We provided Hands on Training, Guidance, Mentoring, and Brotherhood for countless firefighters attending the annual conference, which is the largest fire service training conference in the world. 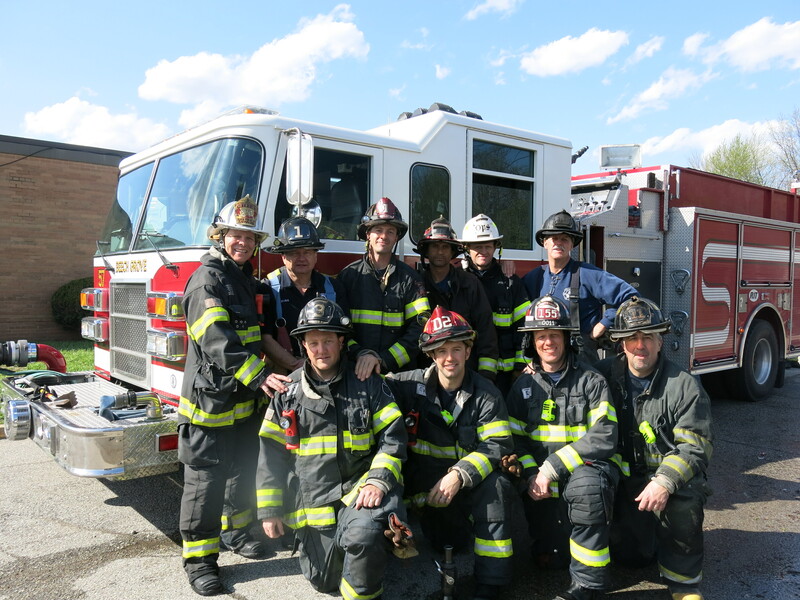 The Ten Top Shelf Firefighters on my Hands on Training Team have a collective experience base of 238-years. That’s a lot of fires, emergencies, hose stretched, ladders thrown, searches completed, and lives saved. These are the Best of the Best. They worked hard for five days in a row, setting up, filming training videos, and providing hands on training for FDIC Attendees. I couldn’t be more proud of them. These men exemplify what it means to truly be a Professional Firefighter. It is not a Maltese Cross Decal on a rear bumper, or a “Firefighter” license plate, but rather their actions, positive attitude, passion for our Great Profession, and willingness to pass on their experience and knowledge to others that make them Exceptional Firefighters. THANK YOU Brothers, for your hard work, dedication, and excellence. It will be difficult, if not impossible to quantify, but firefighters you taught, will survive the battle, because of your invaluable instruction and mentoring. FDIC International, 2015, High-Rise / Standpipe Operations Hands on Training Team / Instructors: Back Row, L to R: Chief Dave McGrail, FF. Dave Karn, Columbus Division of Fire, Rescue Co. 2, FF. Sean Roeper, DFD, Tower Co.1, Lt. Daryl Liggins, Oakland Fire Department, Engine Co. 18, Chief Mike Shepherd, DFD, Operations Division, FF. Jeff Shupe, Cleveland Fire Department, Engine Co. 11; Bottom Row, L to R: FF. Jim Remley, DFD Engine Co. 3, Lt. Brac Heiss, DFD District #2, Lt. Scott Eckels, Castle Rock Fire Rescue, Quint Co. 155, and FF. John Matier, Cleveland Fire Department, Engine Co. 11.